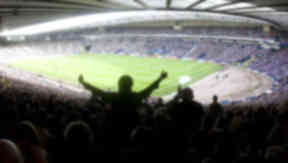 The two Edinburgh clubs will receive an even split of briefs for the Scottish Cup final on May 19. Hibernian and Heart of Midlothian have each been allocated 20,000 tickets for the Scottish Cup final. The first all-Edinburgh final since 1896 will be held at Hampden on Saturday, May 19, and an even split of briefs was negotiated between the teams and the Scottish FA in a meeting on Thursday. The allocations for the 52,063 capacity national stadium take into account of a number of debenture-held seats, plus those for hospitality and the media, located in the South stand. Hearts have announced they will sell tickets based on their loyalty points system, with those on 40 or more points given first priority, followed by those with eight or more points. Tickets go on sale from Tynecastle on Thursday, April 26. Hibs will start selling their tickets from Monday, April 23. Club members, season ticket holders for the current season and fans who have bought a season ticket for next season will be given priority. Supporters who have a season ticket and have already renewed for next season will be allowed to buy two cup final tickets. Hibs do not expect to hold a public sale due to high demand anticipated. Tickets will cost £35 and £28 for adults and £10 for under-15s.